America’s favorite mobile phone carrier, AT&T, announced the upgrade to yet another smartphone on its airwaves by rolling in the newer version of the Android Operating System. 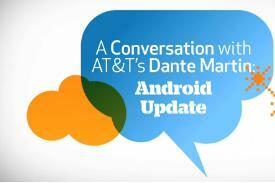 Users on the AT&T network glued to the HTC Aria would register a software update being ported to the Android 2.2 Operating System, as soon as today, February 25th. A few days back, the wireless carrier had promised an update to the Android 2.2 Froyo OS for Aria, though no date was announced and neither did anyone expect it to be rolled out so soon. With the update, HTC Aria would become the second Android-based smartphone on AT&T’s network to receive an update, following the release of this software solution for the carrier’s Samsung Captivate. Alright HTC Aria lovers, we said the Android 2.2 update was coming soon–and we meant it! Check back on the page tomorrow for a link to learn how to download the update. Starting today, the HTC Aria owners on AT&T’s network would have the privilege to enjoy the OS version on their mobile phones.